Even when we’re not talking about food, we’re often talking about food. Food is so engrained in our everyday vernacular that we barely notice it. But where do these food clichés and food-related idioms come from? Taking things “with a grain of salt” means not to take wholly at face value — to view what’s presented as truth with skepticism. Especially in an election season, we are advised to take speeches, ads, and media articles with a grain of salt. So where did this term originate? 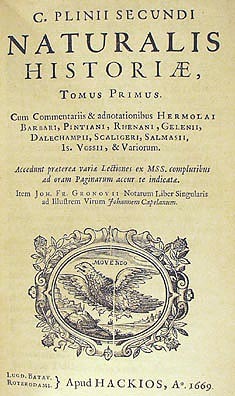 After the defeat of that mighty monarch, Mithridates, Gnaeus Pompeius found in his private cabinet a recipe for an antidote in his own handwriting; it was to the following effect: Take two dried walnuts, two figs, and twenty leaves of rue; pound them all together, with the addition of a grain of salt; if a person takes this mixture fasting, he will be proof against all poisons for that day. The Latin word salis translates both to “salt” and “wit,” so addito salis grano could literally mean adding salt to make things easier to ingest, or figuratively mean to take with some wit, or common sense, in order to save oneself from injurious effects. Innovations and modern conveniences are often described as “the best thing since sliced bread,” which makes you wonder how people described awesome things before sliced bread was introduced. While I haven’t found the answer to that, I can tell you that Otto Frederick Rohwedder invented a bread slicer in 1912. Breadmakers didn’t believe you could pre-slice bread without it going stale. 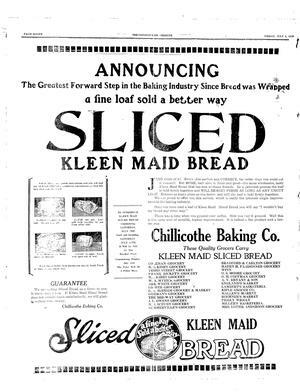 By 1928, however, Chillicothe Baking Company put Rohwedder’s invention to its first commercial use, branded as Kleen Maid Sliced Bread. An ad for Kleen Maid touted it as “The Greatest Forward Step in the Baking Industry Since Bread was Wrapped,” a feat which had only happened a few years prior with wax-paper wrappers. Pre-sliced bread saved housewives time, and in turn increased national bread consumption, as well as consumption of peanut butter, jellies, jams and other spreads, and helped put a toaster in every home. By 1930, Rohwedder sold his patent and sliced bread became ubiquitous. The Wonder Bread we know today was first advertised as Wonder-Cut Bread. The phrase “pie in the sky” describes something pleasant to contemplate but highly unlikely to come to fruition. It originates from the American labor movement. As unemployment swept the United States, hobo camps spread Hill’s song. In 1927, poet Carl Sandburg included “The Preacher and the Slave” in his anthology The American Songbag, helping to immortalize the song in our country’s folk tradition. Listen to a rendition by Pete Seeger below. Any other food phrases you’re curious about? Kim Kohatsu judges the quality of her relationships on the ability to share food. If she can't split an appetizer with you, in her eyes, you are pretty much worthless. Kim's current food adventures revolve around ramen, sushi, Indian curries, Sichuan food, and fried chicken. Oh, and cheeseburgers. Kim loves a good cheeseburger.